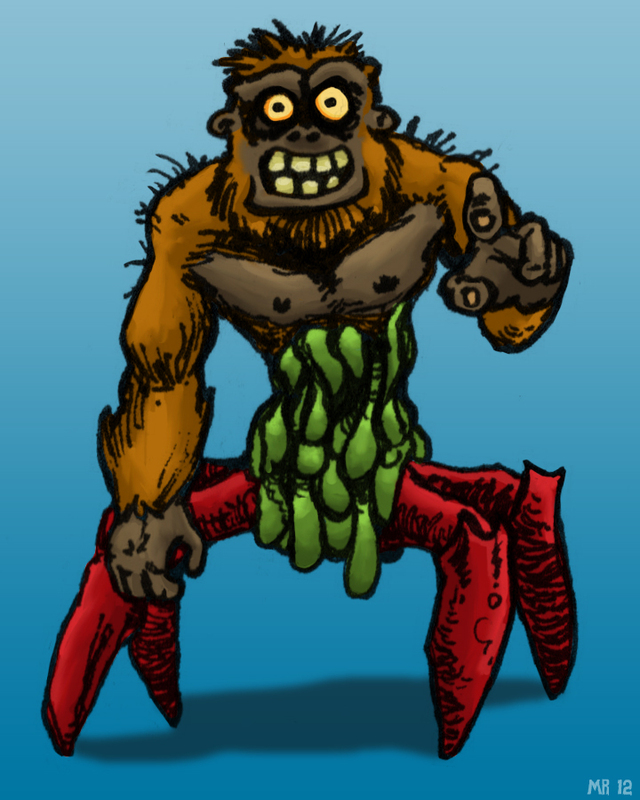 The Magriquik is a strange mutation spotted in the Amazon jungle, which seems to be half primate and half crustacean. The creature has been observed lurking round the outskirts of various farms in the area, and has been blamed for a number of mysterious cattle deaths. The pattern of sightings indicate some sort of migratory pattern, and that there are more than one creature.